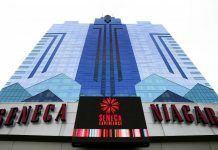 On Friday, March 22, Macau law enforcement and casino security officials plan to stage a mock attack on the Venetian Macao casino. The coordinated ‘attack’ is a drill designed to better prepare casinos for potential terrorist attacks and measure the responses of security forces. The exercise, dubbed Wolf Hunting 2019, will simulate an attack on the Venetian, complete with armed assailants, fake bomb threats, and hostage situations. 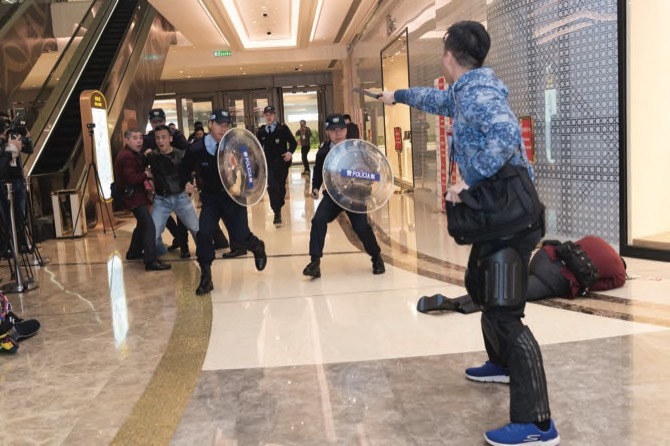 The Wolf Hunting 2019 attack simulation has been organized by Macau officials and will include the Judiciary Police, the Public Security Police, the Fire Services Bureau, and the Customs Service. The Gaming Inspection and Coordination Bureau and the Unitary Police Service will coordinate the teams involved, and study their tactics and response times. The Wolf Hunting exercise will simulate an assault on the Venetian led by armed assailants. There will be fake bomb threats and injuries, and hostage rescue scenarios. The Venetian attack simulation marks the second attack exercise held in the Macau gaming sector in recent years. In January 2018, Macau authorities conducted a similar ‘attack’ at the Galaxy Macau resort. 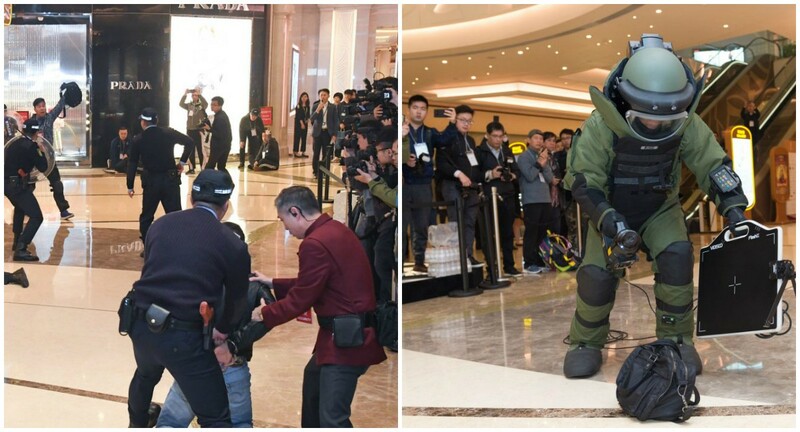 In the Galaxy Macau exercise, officials staged a scenario involving 4 men armed with knives, a fake explosive device, and hostages. The men posed as casino robbers, proceeded to ‘attack’ several casino guests, and then held them hostage. Other men pretended to plant a fake explosive device. Officials staged a scenario involving 4 men armed with knives, a fake explosive device, and hostages. Macau police and casino security helped evacuate the resort guests, while the bomb squad and hostage negotiators were called in. As the mediators negotiated with the ‘suspects,’ Special Operation Group agents closed in and rescued the ‘hostages.’ More than 350 individuals from 9 entities took part in the first Wolf Hunting simulation. The exercise was deemed a success, and prompted continued simulations in the Venetian and possibly other casinos in the region. The government and law enforcement officials in Macau have coordinated the anti-terror response exercises in response to real life attacks on casinos globally. In October 2017, a gunman opened fire on a crowd of 22,000 concert-goers outside of the Mandalay Bay Hotel Las Vegas, killing 59 people and injuring more than 800 others. Just months before in the Philippines, a gunman set fires inside of the Resorts World Manila casino, resulting in 37 deaths. The 42-year-old Philippine national was a disgruntled former government employee with serious gambling debts. Offshoots of an Islamic State terrorist group claimed that the shooter was acting on their behalf, but these claims were dismissed by Philippine police for lacking any basis in fact. While the men involved were not proven to be connected to any terrorist groups, their violent acts shocked the world, and prompted casinos to beef up their security in order to thwart future attacks. In both casino attack cases, the gunmen took their own lives at the conclusion of their attacks. 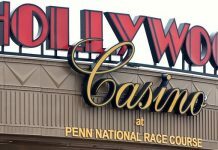 In the same week that the Galaxy Macau staged their faux casino coup, the Foxwoods Resort Casino in Connecticut staged their own attack exercises. The casino staged an active shooter exercise using replica firearms in a cordoned-off poker room. The simulation involved 50 officers from the Mashantucket Police Department and other regional authorities. Las Vegas casinos have also conducted their own security drills in the aftermath of the Las Vegas shooting. Since then, Las Vegas law enforcement and private casino security firms have invested millions of dollars in security upgrades, including heavily armed private SWAT teams trained by FBI, CIA and military experts, K-9 units, hidden metal detectors, undercover detection squads, and hi-tech surveillance technology.